Both serving spoon and fork are comfortable to hold. Can work great with glass or wooden salad bowls. 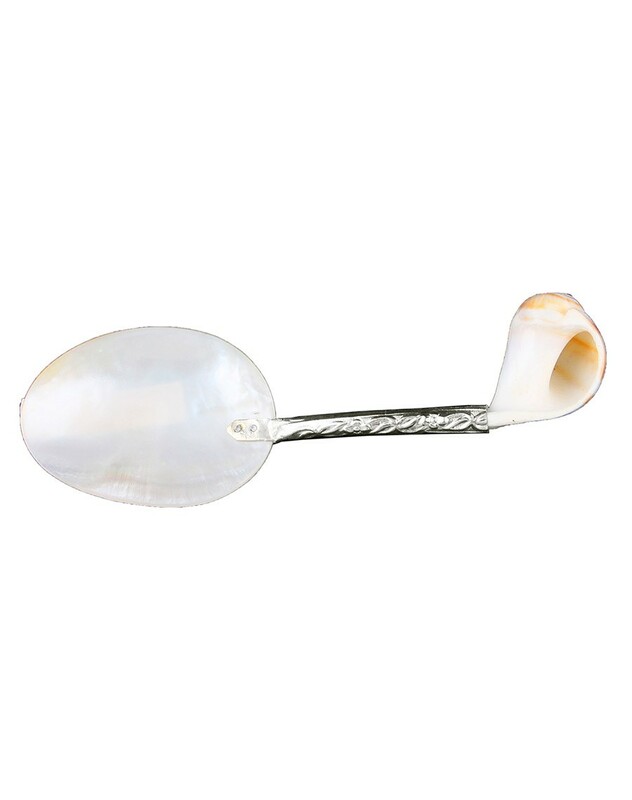 Shell spoon is a Kolkata west Bengal based Swastik International kitchenware product made up of shell based unique and durable material. It’s off white color give an appealing and valuable look and is used both for serving and dinning, available at affordable rates which anyone can afford. • Disclaimer: This intricate kitchenware product is handcrafted and may have slight imperfection and/or mismatch from the product shown in the image as its handcrafted by the artisan which makes the product unique.